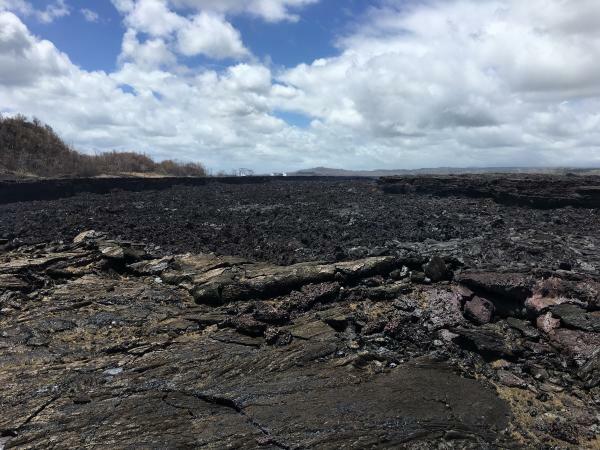 Kilauea’s double eruption continues with no significant changes: Fissure 8 is still pumping out lava, and the summit is continuing to settle. The ocean entry has expanded to two miles wide, with its southern edge creeping south just onshore. 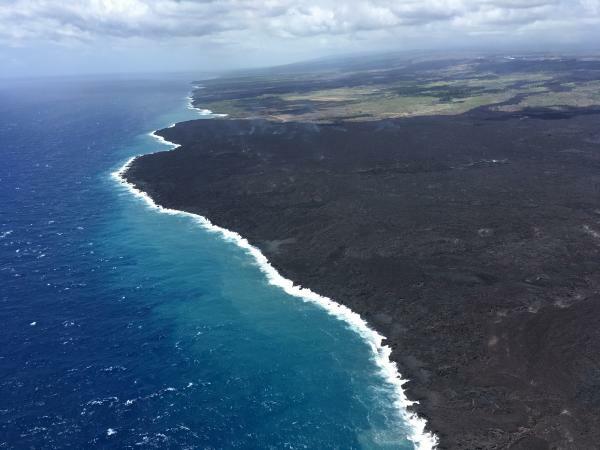 Fissure 22 is sputtering and sending out tepid little lava flows that don’t go anywhere, while Fissures 16/18 were “incandescent” during the morning overflight. 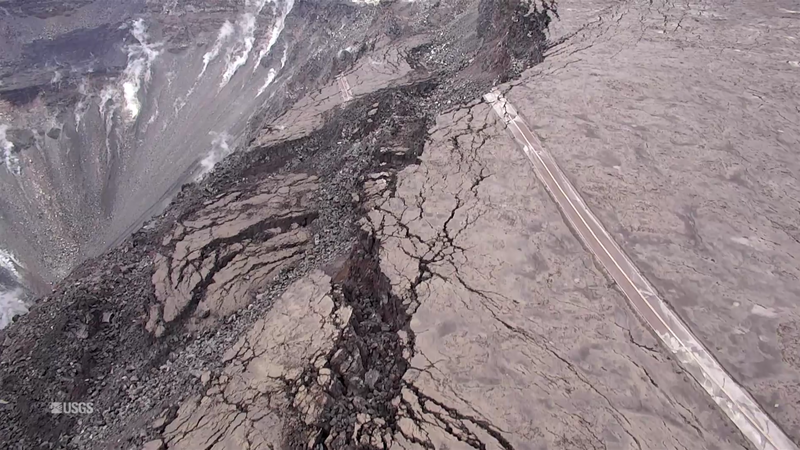 June 26th’s collapse explosion waited a full 29+ hours, just to keep us on our toes, occurring at 10:41pm HST. The energy release was 5.4 with a 1000-foot ash plume. 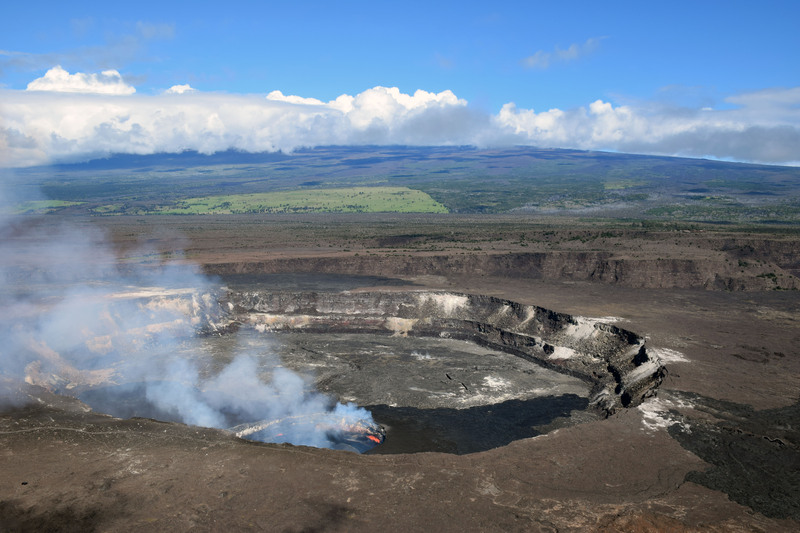 The big news today is that the USGS posted new drone footage of Halema’uma’u Crater. Full video below. If you want extra drama, here’s a version with a soundtrack added. HVO/Jaggar Museum are the low dun-colored buildings (same color as the bluff they’re sitting on, well-camouflaged) swing into view at the top of the screen around 2:30 and are middle of screen at 2:40 just before it shifts to a new view. 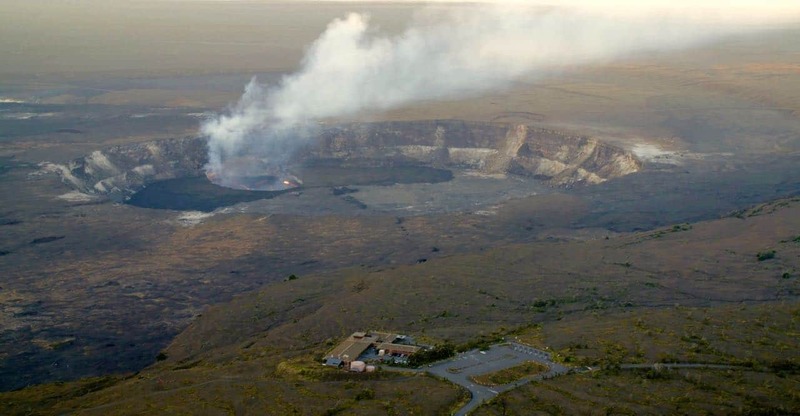 (The larger, more conspicuous buildings near the beginning of the video are the old Kilauea Military Camp and the Volcano Golf Country Club). 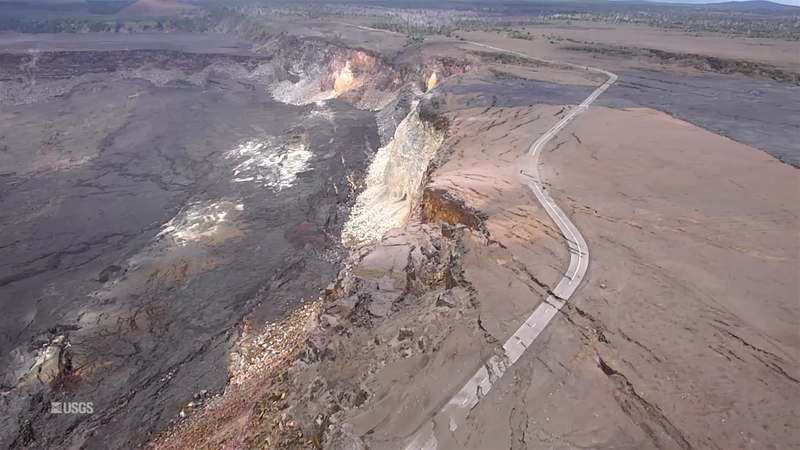 Here’s an aerial photo of Halema’uma’u from April 13, 2018 for comparison, with Jaggar Museum/HVO at the top of those stairstep bluffs in the background, middle right. Here’s another view of the two buildings.